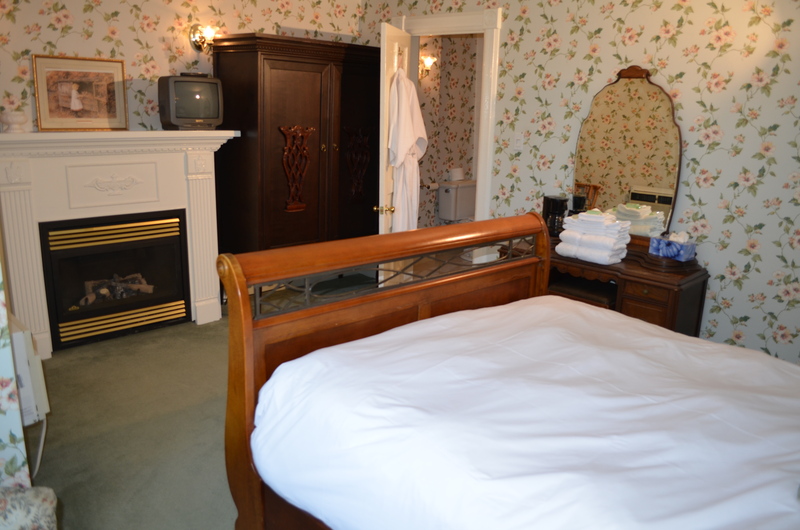 This room is on the 2nd floor of the older part of the house has been completely restored . 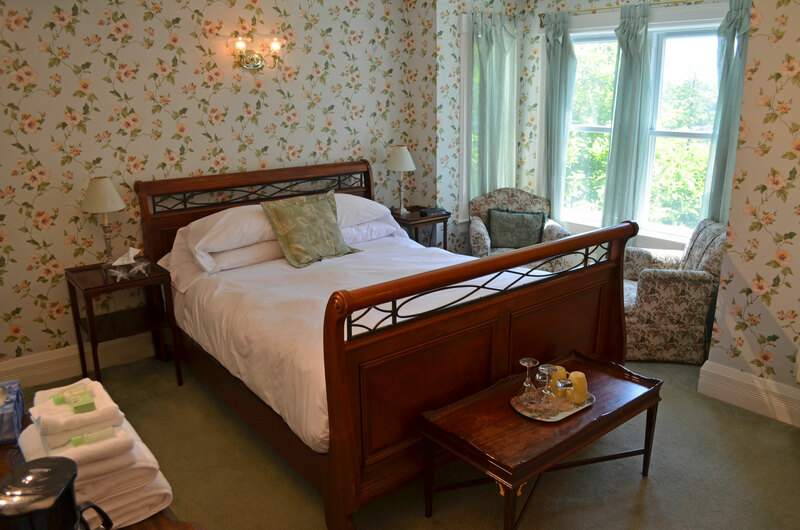 The walls are covered in a Victorian paper of pale greens with beautiful peach coloured morning glory vine. Beautiful windows have been added to take advantage of the view of the Niagara River. 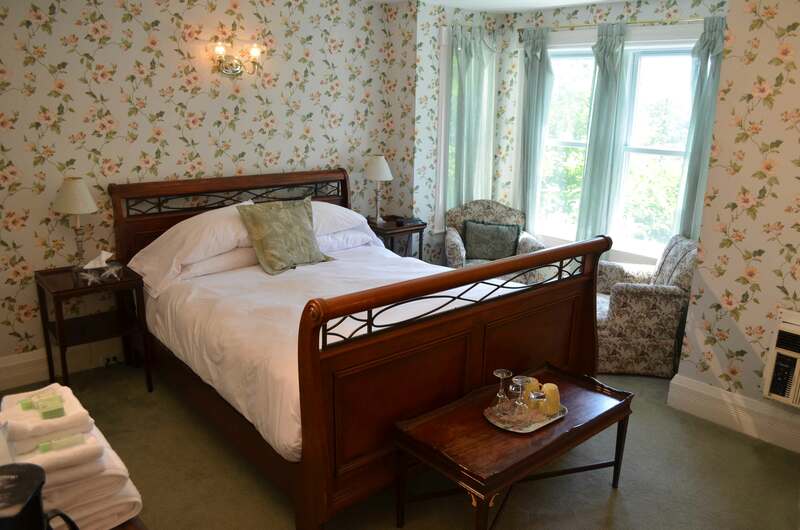 This room has a queen bed. 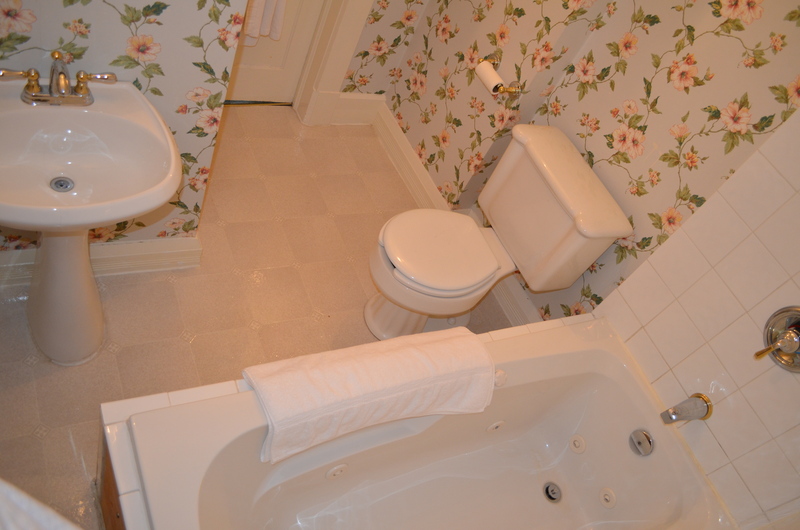 There is an ensuite bathroom with shower and a personal size Jacuzzi tub. It also has a fireplace with a sitting area, cable television, air conditioning and compact refrigerators.